I am the most excited for Behemoth, because they always put on a killer show. Dude Behemoth with Nirgl fully recovered from near death is def my favorite to see in this lineup. I am excited to see Behemoth. I’ve liked them sine the Zoe Kia Cultus era. I’ve seen At the Gates also and both these bands are phennomal!!! Whole lineup is awesome but its At the Gates – been a fan since the early 90’s!! Been a fan for years, but have never gotten to see them live. I randomly surfed into a video of their set from Hellfest and hunger pangs to witness such majesty and power in the flesh began stabbing me in the stomach. True story. I’ve wanted to see Wolves in the Throne room for a while now. I’m most excited to see them. Definitely most excited for Wolves in the throne room! I’m most excited to see At the Gates for the first time but overall I’d say I like Wolves in the Throne Room best. 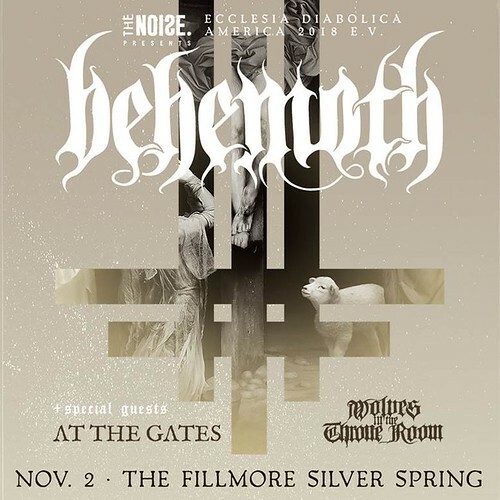 I’m equally excited to see Behemoth and At the Gates — can’t wait for this show!!! BEHEMOTH!!!! saw them with slayer in the summer awesome performance!!! I’m definitely most excited about catching At The Gates Cos i’ve been a long time fan and have never seen them before.Behemoth and Wolves are both great live but ATG is the real treat for me! Behemoth but all three are killer acts in and of themselves. I haven’t seen Wolves In The Throne Room yet! Behemoth is always awesome, though. All bands are killer. New At the Gates album is great. But Behemoth has proven their love with their new album, and so Behemoth for me. Wolves In The Throne Room. Have not had the chance to see them live till now. Normally I’d say At the Gates, but I’ve yet to see Behemoth, so it’s gotta be Behemoth! I’m stoked to see At The Gates!!! Behemoth!!!! I can’t wait!!! Only my 2nd time seeing them so far. I’m even going to go with Nergal’s look as my Halloween costume this year. Behemoth for sure! Stoked to see them with a full headlining production. Only seen them at festivals previously. At the Gates. Seeing Behemeth inside again should be fun too. Wolves In the Throne Room!!! WITTR. 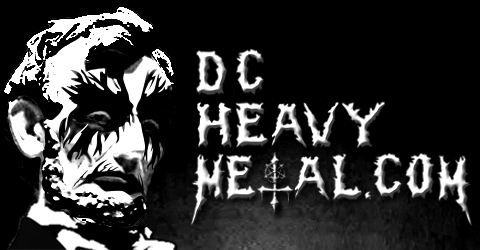 viva cascadian black metal!